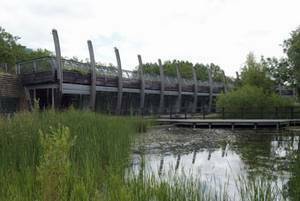 Situated amongst the picturesque lakes and reed beds of Mile End Park, the Ecology Pavilion provides an ideal, large contemporary space within natural wild surroundings for those seeking a venue that offers tranquillity, beauty and exceptional value at the very heart of the East End. 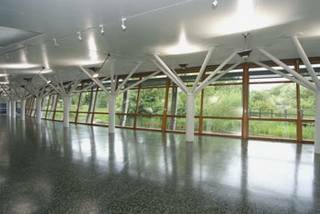 The Ecology Centre is used for a wide range of events and activities including art exhibitions, seminars, launches and receptions. 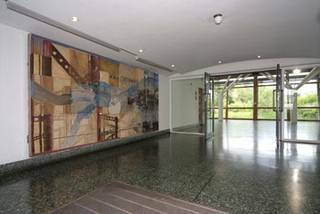 The space is suitable for both large and small functions, including corporate ‘away days’. 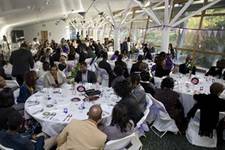 The space is offered as a dry hire and you are welcome to bring in your own caterers.